One of our most popular gift plants, Peace Lilies are super-easy care and do well in many office environments as well as at home. 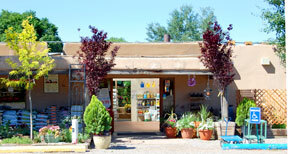 When not in bloom they are a beautiful foliage plant. Most grow to between 12″ and 4 feet and produce long-lasting, lightly fragrant white flowers that resemble lilies. 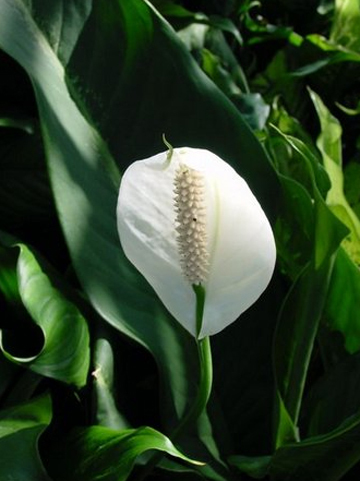 Spathiphyllum survive low interior light (including florescent) but prefer bright filtered light — not direct sun which can burn them. During the day they want warm temperatures between 65° and 85° but nighttime temperatures can be a bit cooler, but not below 60°. They may not flower as often if they don’t get enough light. Use room temperature water to keep the well-drained potting soil moist, but let the plant dry out between waterings. One of the most common problems we see is overwatering which can cause root and stem diseases. 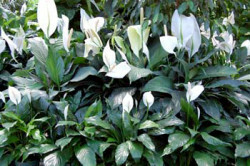 Peace lilies need little fertilizer: use a balanced 20-20-20 liquid houseplant fertilizer every two- to three months. Keep the leaves shiny and healthy by regularly cleaning dust off of them with damp cloth.